Low-risk patients are being treated with cholesterol-lowering drugs despite having less than a 10% chance of heart attack or stroke, new research suggests. A study tracking the prescription of statins has been published in the British Journal of General Practice and suggests widespread "over-treatment". Medical records of 1.4 million patients aged 40 and over - across both England and Wales - have been analysed by researchers from the University of Birmingham. The data includes all prescriptions and risk assessments for cardiovascular disease (CVD) over a 15-year period, between 2000 and 2015. 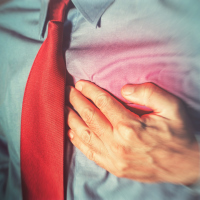 Researchers have also identified a worryingly high risk of potential "under-treatment" among patients who are at an increased risk of developing CVD. Only a third (35%) of patients with a 20% or higher chance of developing the disease within a decade are noted as having been prescribed statins. The authors of the study say it is not possible to determine how many of these patients have declined an offer of treatment. They wrote: "This study confirms that there is potential under-treatment of patients at high risk of cardiovascular disease (CVD) and, although only a small proportion of low-risk patients are initiated on statins, low-risk patients represent a significant proportion of all statin initiations." The National Institute for Health and Care Excellence (Nice) recommends an assessment of exposure risk should be conducted by GPs to predict a patient's risk of developing CVD within 10 years. However, only 11% (151,788) of patients included in the study have medical records to support that they have undergone the risk assessment. Nice also recommends that only patients with more than a 10% chance of developing the disease should be treated with statins. Despite this, one in six low-risk patients have been prescribed the medication, the research finds. Giving possible reasons for the over-prescribing, the report's authors said: "It is possible that clinicians were responding to individual patient preference when prescribing to low-risk patients." Patients having treatment for cardiovascular disease or other pre-existing conditions can still enjoy holidays and overseas trips by taking out pre-existing medical travel insurance.